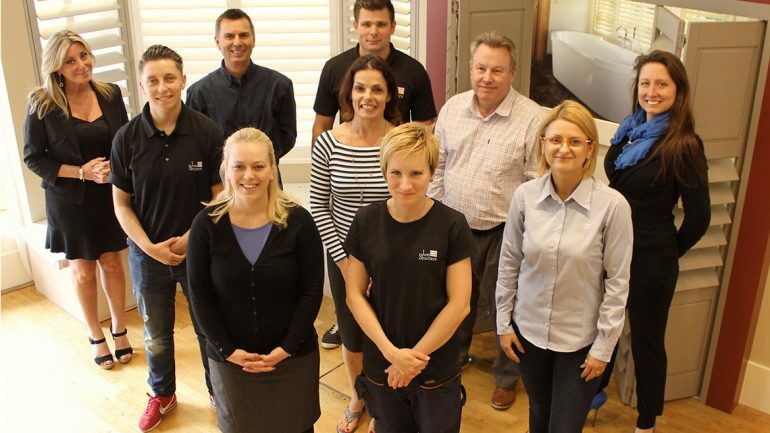 From a Southbourne spare room to 13 franchises and 125 towns and cities across the UK! Just Shutters celebrate 10 years at the top of their field! Grown from humble beginnings, husband and wife team Chris and Helen Rocker began the Southbourne based company from their spare room on Carbery Avenue in 2006. The idea was simple; to provide the best possible shutters, expert advice and installation, together with outstanding customer service. It is these three qualities that have been at the heart of the company as it has flourished and grown, now with 13 franchises and covering 125 towns and cities throughout the UK. A real local success story, Just Shutters weathered the financial crisis of 2008 and double dip recession through to 2013, in fact enjoying year-on-year growth throughout this time. The company has also seen huge changes in the digital world with both it’s systems and marketing being poles apart from where it began. Just Shutters would like to invite you to join them in celebrating their tenth anniversary at their showroom party on 17th September, musical entertainment and refreshments will be on offer throughout the day, as well as experts to discuss any of your shutter needs. Smart Home Rentals: If Lettings Give You Lemons, Let Us Make Lemonade!